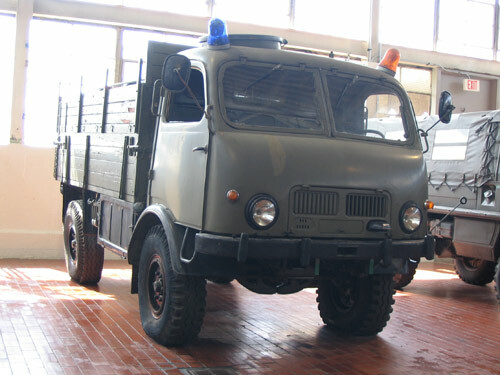 The 800 series produced by Tatra is a designation for “special purpose vehicles.” The 800 series was sold to the military and the construction industry. There were many versions–dump trucks, troop carriers, and vans (usually called caravans in Europe). The T-800 uses the same engine as the T-603 car. This is not a vehicle for the casual driver. Performance is sluggish at best. As the driver sits right next to the engine, the heat and noise are appalling. Turning the steering wheel alone is a real workout!